Now that Fall is here, many creatures will be trying to move into your home. 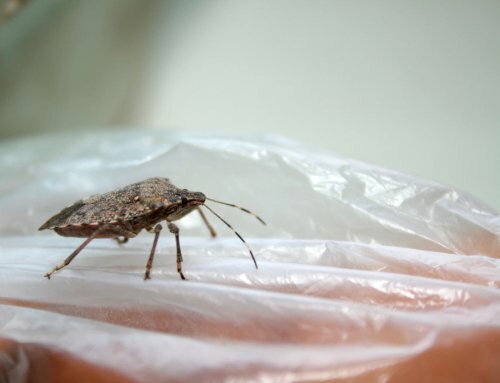 Spiders and box elder bugs are the main source of discomfort but stink bugs are quickly becoming the new “king” of Autumn pests in the Northern Illinois and Southeastern Wisconsin. Not far behind on the Fall “pest” list would be mice. Rodents are trying to get inside for winter. At Schopen Pest Solutions, Inc., we not only bait for the mice but we also look around the exterior of your home for openings that we can seal up. We also have a unique outdoor baiting program to help relieve some of the rodent “pressure” around your home. Carpenter ants can be extremely devastating to your house and surrounding property. During the warm summer months, these dreaded insects may be more likely to invade your wooden structures and wreak havoc on the integrity of your home. By hiring an exterminator to provide you with targeted bug control in Crystal Lake, you will be able to eliminate your carpenter ant problem and restore your peace of mind. To highlight the benefits of working with an experienced bug exterminator, here is an overview of some tips to keep carpenter ants at bay. Like many other insects, carpenter ants live in a centralized nest. When you are planning a carpenter ant removal project, your first step will be to target the nest, which is the source of your infestation. An experienced exterminator will use diagnostic techniques to find the nest around your home and property. Once the nest has been destroyed, the colony will naturally start to die off. When carpenter ants target your home for infestation, they will be looking for tiny cracks and holes that will allow them to gain access to its wooden structures and surfaces. If you want to keep carpenter ants away, or are seeking to prevent a new infestation, consider applying caulk to any holes that may be present around the exterior of your home. Once these holes have been filled, your home will be very resistant to carpenter ants, as well as other common bugs. If your property has mature trees and other forms of landscaping, hanging branches and limbs may be providing carpenter ants with easy access to your home. One method for preventing carpenter ants without the use of baits or traps is to trim back the landscaping around your home. After you have cut back your hanging limbs, the carpenter ants will have fewer points of entry that they can use to get inside the structure of your house. Bee stings are all too familiar during the summer season. In this video, you will learn about the reasons why bees and other stinging insects use their painful stingers. While the common honeybee will only sting in defense, wasps and other insects will sting out of aggression. A bug exterminator near Crystal Lake can help to eliminate any stinging bugs that may be invading your backyard. If you are tired of worrying about bee and wasp stings in the summer, now is a great time to call a bug exterminator. 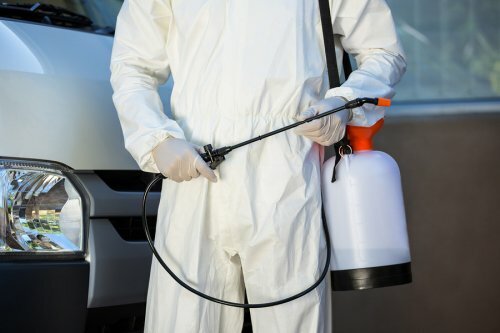 After your bug removal service, you will have the peace of mind that comes from knowing that your property is safe and free from stinging insects. Could You Benefit from Our Power Spray Program? If you are struggling with a pest invasion on your property, consider scheduling a power spray service from Schopen Pest Solutions. Our bug removal experts have created our power spray program to combat earwigs, box elder bugs, and many other types of insects that can infest your home. With services from our bug removal team in Crystal Lake, you can protect your home against irritating or potentially harmful pests. Our power spray program offers a few distinctive benefits to homeowners. When you schedule power spray services, you can set up quarterly bug removal treatments for your property. With quarterly treatments, you will never have to worry about missing a treatment and allowing your bug problem to get out of hand. Since our treatment offers instant results, you can immediately rest assured that your bug problem has been removed. After your power spray service is completed, you will be able to enjoy spending time in your home’s outdoor spaces. When you are looking for the signs of carpenter ants in your home, you should be on the lookout for large, black insects walking along your floors or baseboards. Carpenter ants are much larger than other ant species, and adult carpenter ants can reach up to a half-inch in length. If your ants are on the smaller side, chances are that you have been invaded by other ant species. Carpenter ants chew through wooden materials in order to create their nests and colonies. To identify carpenter ants in your home, look for unusual piles of sawdust popping up in corners of your home. As carpenter ants munch their way through wood, they leave piles of sawdust behind. You may be able to hear a carpenter ant colony once they have made their way into the wooden materials throughout your home. As carpenter ants march through their tunnels, they will create a distinctive rustling sound. These sounds can easily be mistaken for the signs of other creatures, such as termites or mice. A colony of carpenter ants can be extremely destructive to the wooden materials around your home. 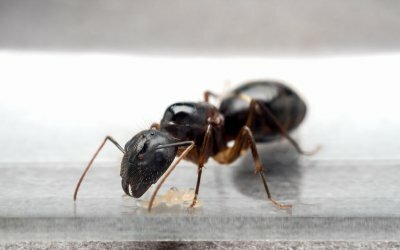 If you suddenly notice that your doors, baseboards, or other wooden items have signs of holes or tunnels, a colony of carpenter ants may be to blame. Fortunately, your bug exterminator will be able to find the colony and completely eliminate the carpenter ant problem in your home. To keep wasps away from your household, you will need to make sure that your property does not have any areas that may invite these pests to start building their nests. Mature trees, roof overhangs, and cracked wooden structures all make perfect places for wasp nests. With the help of a qualified contractor, you can identify potential nesting sites and make sure that they are correctly treated or sealed. Looking for possible nesting sites can also help you identify an infestation that is in its early stages. When you host a backyard barbecue, it is important to cover up meats, sugary treats, and beverages that may be attractive to wasps. Wasps are drawn to protein and sugar, so having these items out during your party may invite a colony of unwanted visitors to your home. By keeping your drinks in covered containers and your food under cover when it is not being eaten, you can avoid attracting a swarm of wasps. If you are very concerned about wasps around your property, call a local pest control company for assistance. 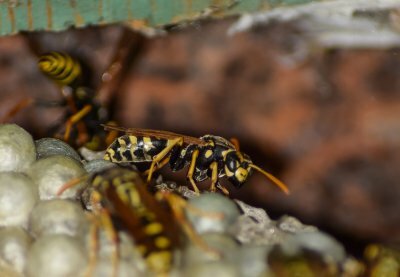 Your pest control technicians will know precisely how to keep wasps away from your home, and they will be able to easily identify potential sources of an infestation. 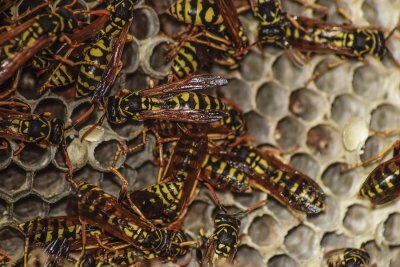 After your professional wasp prevention service, you can rest assured that your home will remain free from these pests for the rest of the summer.